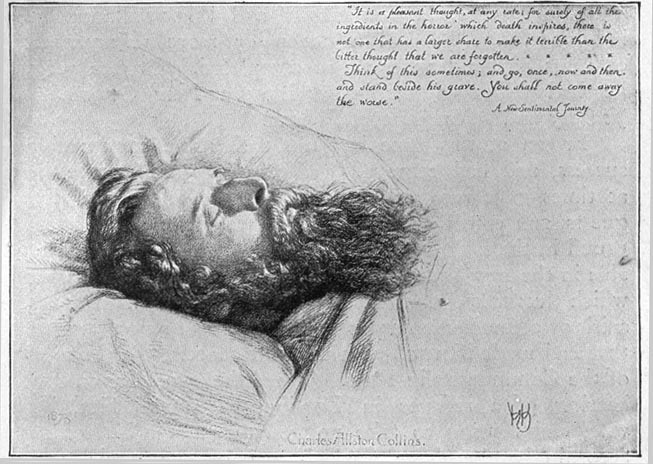 William Holman Hunt's deathbed portrait of Collins and John Everett Millais's portrait of him as a young man. 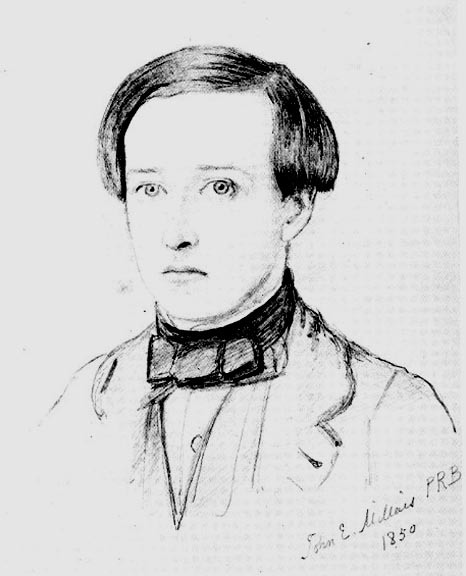 Collins was 12 years older than his 21-year-old bride, Kate (Catherine Elizabeth Macready) Dickens, and Dickens admired his son-in-law's work as an artist. He became a member of Dickens's circle by virtue of the artistic collaboration between his brother, Wilkie, and Dickens in the 1850s. Apparently these sketches are as far as Collins got in the project when his health failed him, and the commission then passed to another young artist, Luke Fildes. William Holman Hunt, Pre-Raphaelitism and the Pre-Raphaelite Brotherhood. 2 vols. New York: Macmillan, 1905. Lehmann-Hauptmann, C.F. “New Facts Concerning 'Edwin Drood'.” The Dickensian. (1929): 165-175.